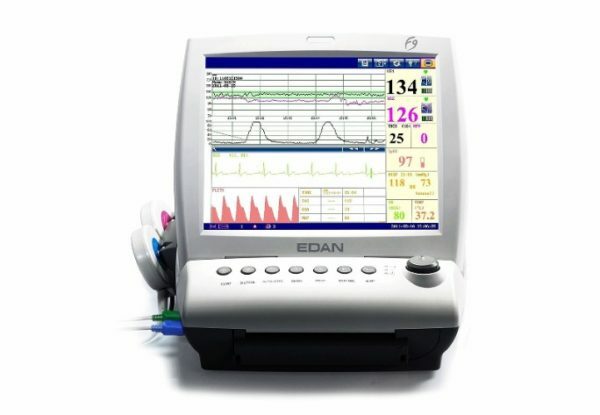 Edan F9 Express “Loaded” Fetal/Maternal Monitor. 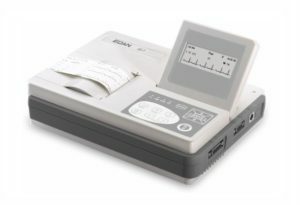 F9 is a high-end fetal & maternal monitor, it offers the most advanced integrated monitoring for the delivery room in a big hospital, private obstetrician’s office, antepartum clinic. 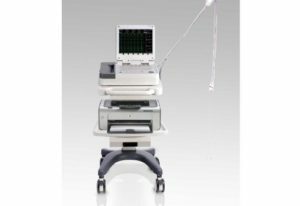 F9, designed for moving situations, covers the entire continuum of antepartum, intrapartum and postpartum applications. 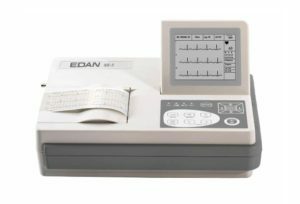 Edan F9 Express Fetal/Maternal Monitor Features Basic parameters: FHR, TOCO, Event Mark, AFM, Internal parameters: IUP, DECG (optional), and 24 hours waveforms playback. 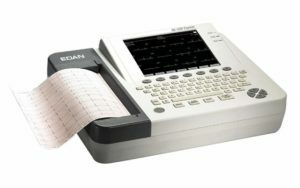 Optional Built-in wireless module, Software for data transmission to PC 150/152 mm wide paper. 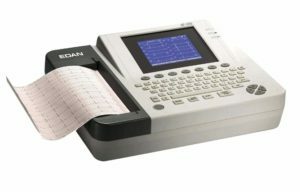 Support US/International standard paper and has 1,2,3 cm/min real-time printing speeds. Quick printing for the stored waveform. Lithium battery for 4 hours of continuous working. 12.1- inch high-resolution color folding up LCD touch-screen. Probe rack and wall mounting rack. Call for our Best Price. See tabs for more information.